« [No Comment] Lebanon’s Patriarch returns from France. Canada’s Metro Inc., is looking to establish itself in the multibillion-dollar ethnic grocery store market in Canada. 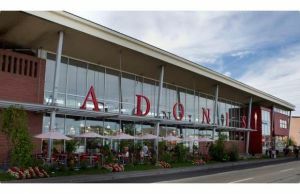 Rumours are swirling that the leading Montreal-based supermarket chain wants to partner with Adonis Market, a much-loved local grocer that specializes in Mediterranean food. Teaming up with Adonis, which has four stores in the Montreal area, could help Metro, a traditional grocer, gain a foothold in the challenging and lucrative ethnic grocery sector. A Metro spokesperson, Marie-Claude Bacon, declined to answer questions about a possible deal between the two firms: “We have no announcement to make with regards to Adonis and we don’t comment on rumours,” she wrote in an email. Reached by phone at the Adonis store on Sauvé St. W., a manager – who declined to give her name to a reporter – confirmed the company is in negotiations with Metro to form a partnership. “We’re not talking about it,” she said, adding that the company may be ready to talk in “a couple of weeks” when a deal has been signed. A woman who answered the phone at Adonis’s head office told The Gazette that it was impossible for her to contact company owner Elie Cheaib for an interview request. But an industry expert was positive about the possibilities that could flow from a partnership. “It’s strategically brilliant,” John Scott, president of the Canadian Federation of Independent Grocers, said in an interview. 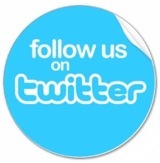 He noted that eating ethnic food is becoming a mainstream trend across Canada. Still, Scott said it’s not easy for a traditional supermarket company to learn how to successfully source and flog food to ethnic consumers. He pointed out Loblaw Cos. Ltd.’s purchase of Toronto-based Italian grocer Fortino’s and of Vancouver-based T&T Supermarket Inc. – Canada’s biggest Asian food retailer – as successful examples of this strategy. Last year, CIBC World Markets pointed out that traditional grocery industry players often ignore the Canadian ethnic food market. “At somewhere between $4 billion and $5 billion in sales, and growing at 15 per cent to 20 per cent per year, the independent grocery sector may represent as important a threat as Walmart Canada’s food business,” CIBC said.